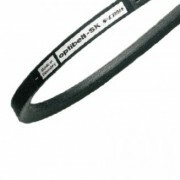 We stock a large range of Optibelt V-Belt products and we have access to the full Optibelt range including The Standard SK product as well as the Red Power, Blue Power and Cogged belts for small diameter pulleys. Consistent further development of the production process, improved materials, low stretch polyester cords and optimised moulded cogs are the basis for this new belt generation. 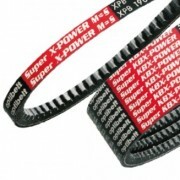 Optibelt Super X-POWER M=S allow complex drive solutions in the whole area of machine construction under the most difficult conditions and extreme operational demands. 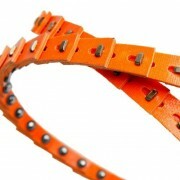 Nu-T-Link & Super-T-Link is well established throughout the world as the V-belt that successfully overcomes many of the problems previously associated with standard V-belts. 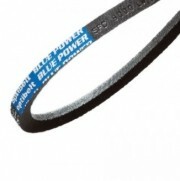 By utilising a composite polyurethane and polyester material Nu-T-Link & Super-T-Link ensures an extended operational life over rubber based V-belts. 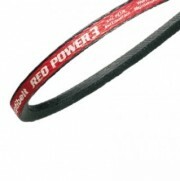 Red-Go Polyurethane belting is ideal for conveying, live rollers and many other drives. 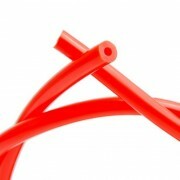 It can be made up to any length and is quickly cut to length and installed on the job requiring no special tools.